We have previously written about the ways in which student loans uniquely burden consumers. 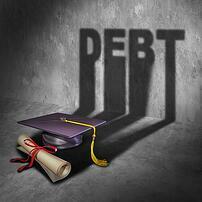 Most specifically, we have noted that student loans are not ordinarily considered to be dischargeable debt. As a result, former students are often saddled with enormous amounts of student loan debt and too often have no way to pay these bills down. However, a few different tools can help former students manage beastly student loans to the greatest extent possible. First, former students can opt to file for bankruptcy in regards to other significant debts that they may have. Bankruptcy can thus help to free up income so that it can be used to pay student loans instead of other debts. Second, former students can consolidate their loans, which can help to reduce the payment amount that they are expected to produce on a monthly basis. There is also a third option that some former students may significantly benefit from. This option has been inspiring a great deal of buzz on social media sites within the last week. For students who have federal student loan obligations, a number of repayment options exist. If you are a student struggling with federal loan payments, experts suggest that you shift from whatever repayment plan you are on to one that ties your monthly payments to your monthly income amount. This income-based repayment (IBR) option tends to make loans most affordable for each person that must repay them. In addition, this particular plan allows borrowers to have their total remaining loan amount forgiven after a number of years if the borrower has not paid the total loan by then, based on his or her income. Only three in 10 federal student loan borrowers are on IBR plans. Are you one of them? If you are struggling with student loan debt management and need advice as to whether filing bankruptcy could help your overall situation, contact one of our bankruptcy attorneys for a free consultation.